It’s been definitely obvious that William has been exploring and learning about his world with his hands. This week’s preview reminds me to make sure he gets to use his tactile senses with skin to skin contact and a wide variety of synthetic fabrics as well. For Christmas this year my Aunt Carol had given me a fleece blanket. Not only did I love the texture and feel of it, so did William, who encountered his first fleece blanket for the first time at his Nonni, Candy’s house. Here he enjoyed both skin to skin time with Matt and the fleece blanket against his skin. I’m convinced he loves the feel of his cotton blanket we use to swaddle him as well. 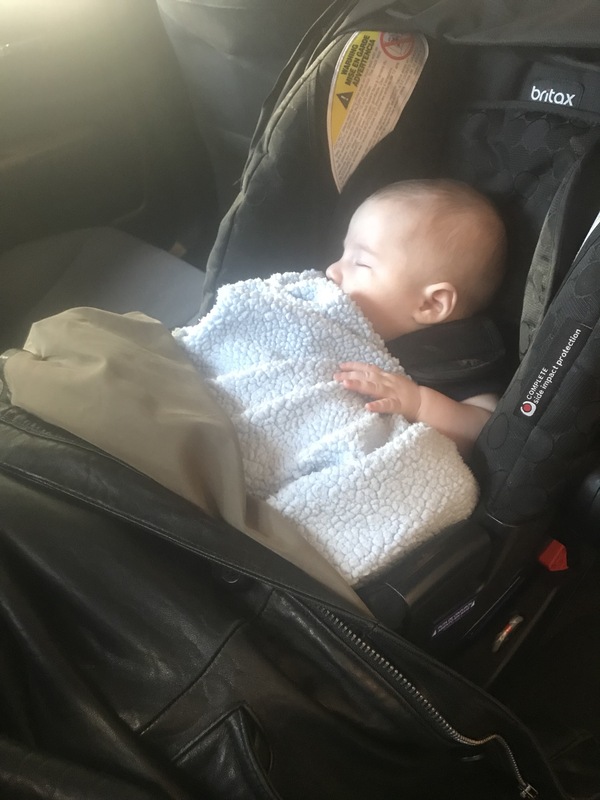 We always bring it with his car seat so he feels warm and safe with a familiar texture around him. 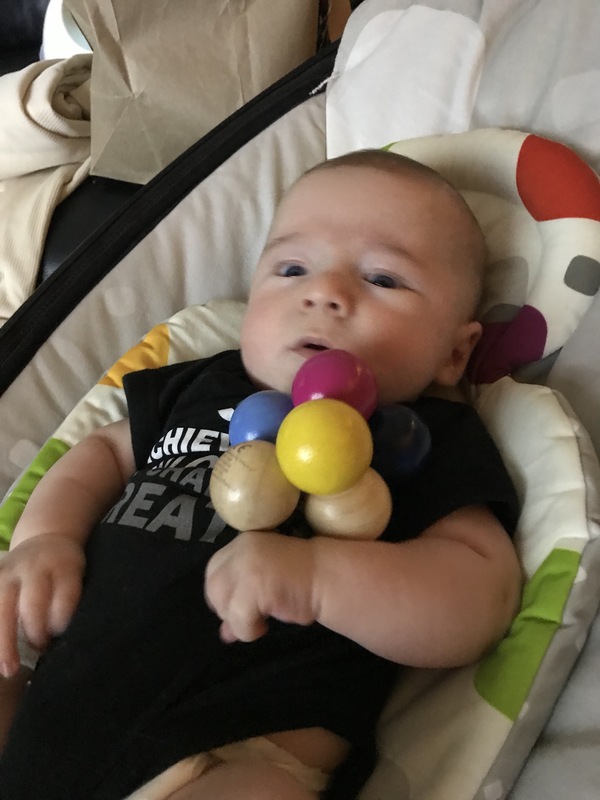 I wasn’t sure exactly how well the wooden rattle I received from Bluum would work. 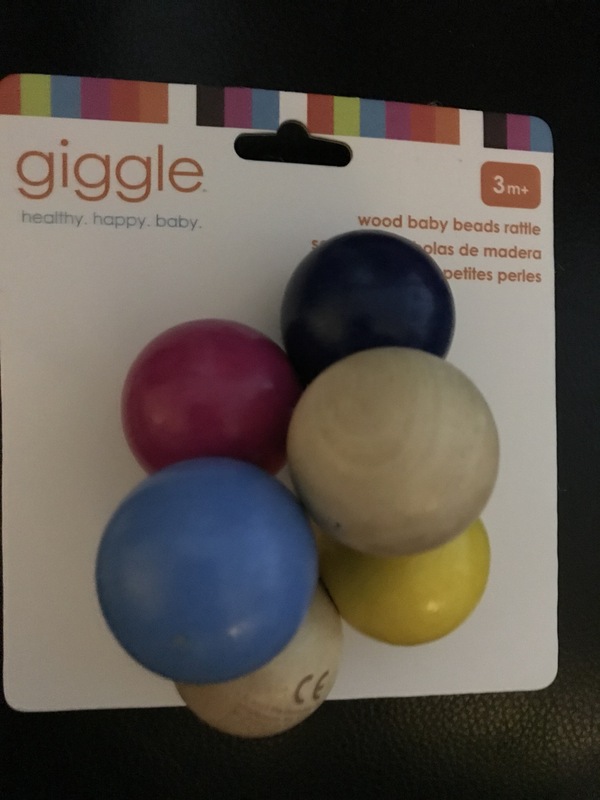 It makes a clacking sound when the beads touch one another. William was interested in the clacking sound, but did not seem very impressed or happy with it. So, I set it with him and still, he didn’t engage with it at all. 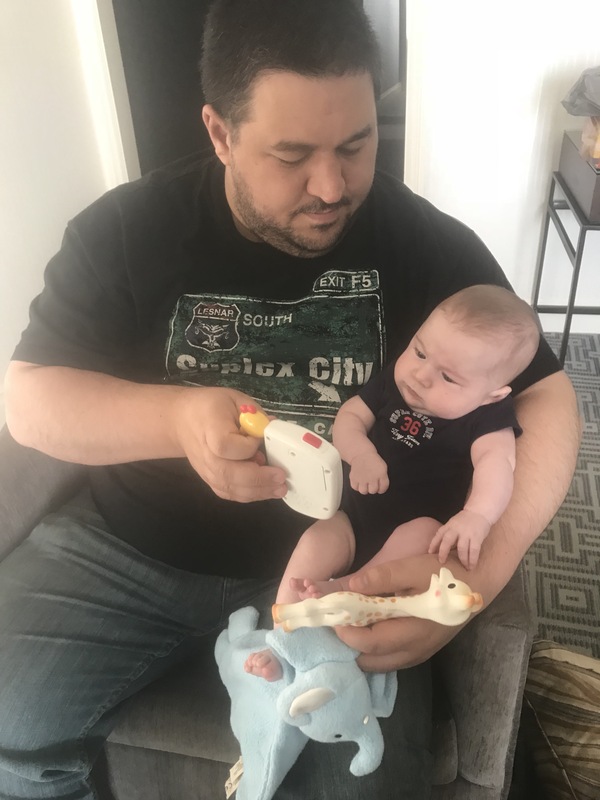 For the most part, he seems to enjoy more toys that are musical. This one plays songs and lights up in different colors to engage his sense of sight and hearing at the same time. In this photo are two other toys that we had tried to get his attention with, both very tactile. 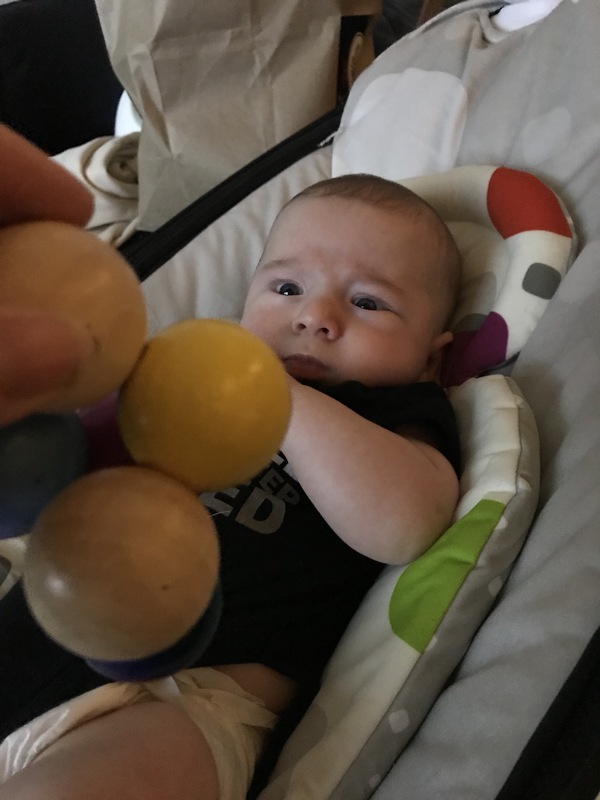 It will interesting to see the more important role tactile stimulation plays in his development.